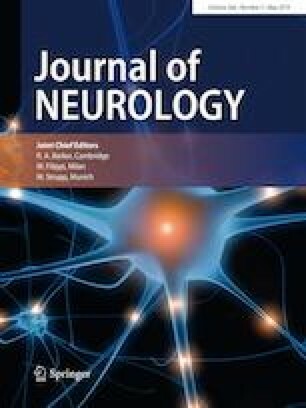 Subthalamic deep brain stimulation (STN DBS) is an effective treatment for advanced Parkinson’s disease (PD). The prevalence of apathy, i.e., loss of motivation and energy, after STN DBS in the previous studies is high, ranging between 21 and 71%, and is associated with a decreased quality of life [1, 2, 3, 4, 5, 6]. Neuro-imaging studies suggest a possible explanation for these symptoms because of an association between STN DBS-related apathy and stimulation of non-motor limbic circuits in the ventral region of the STN [7, 8, 9]. In this study, we describe three PD patients with STN DBS-related apathy who experienced a fast resolution of symptoms after switching stimulation from ventral to dorsal STN stimulation. All studies in this case study have been approved by the appropriate ethics committee and have therefore been performed in accordance with the ethical standards laid down in the 1964 Declaration of Helsinki and its later amendments.